Åse recognized the talent and enthusiasm of young art student Marianne Isager, who took over the company in 1977. Marianne and her daughter Helga continue to honor and re-interpret Åse's work and develop new knitting techniques and patterns of their own. 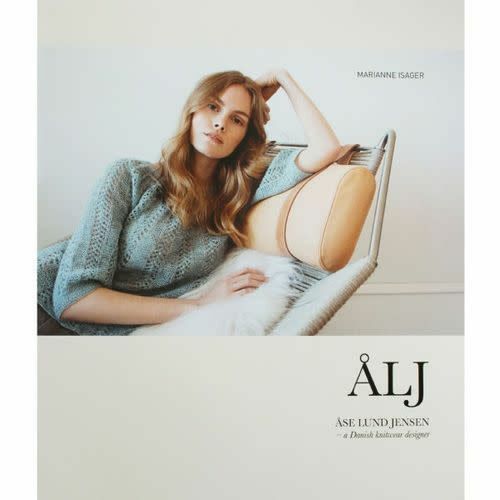 The 15 knitting patterns by Åse Lund Jensen, Marianne Isager, Helga Isager and Anette Danielsen showcase Isager's gorgeous line of signature yarns. Each pattern section is prefaced with an article about the knitting technique used: jacquard, texture, lace and eyelet, entrelac and spot knitting. Woven throughout the book are articles and vignettes that chronicle Åse's life and work, including inspiration, photographs, fashion sketches, quotes and letters.